The Mylène Botanical Collection gives your body a feeling of pure indulgence. Begin the experience with the Botanical Shower Gel for a fresh cleansing, and then slip into the luxurious cocoon of a soothing massage with the Botanical Body & Massage Oil. This spa gift offers a total experience for the senses, that lets you enjoy a wonderful moment of relaxation. Exquisite shower gel with extremely mild cleaning agents and glycerin to maintain the moisture content of the skin. Enriched with a delightful perfume, the soft floral scent is given a sparkling fresh touch thanks to powerful, spicy top notes of pine. For an optimally cleansed and wonderfully scented skin! Use: massage on moist skin, foaming and rinsing. Beneficial, vegetable body oil for him and her that optimally spoils the skin and envelops you in a fresh but soft floral perfume. Suitable for all skin types and perfect as massage oil to use. 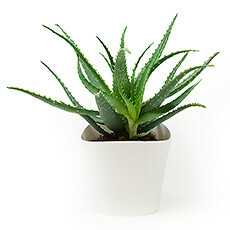 Use: apply to a cleansed skin and gently massage. 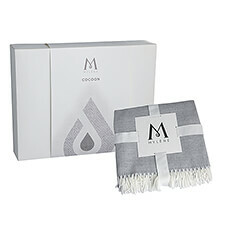 Qualitative, extra soft towel of 50 x 100 cm from 100% cotton and in stylish white with silver lurex.